Do You Need A Commercial Snow Removal Contractor? Commercial Snow Removal In Bolingbrook, IL! 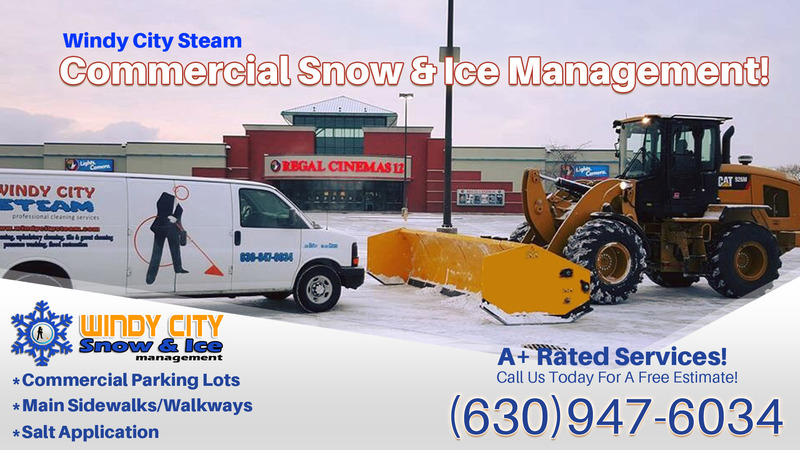 Windy City Steam offers commercial snow removal, commercial snow plowing, as well as ice control and salt application services to retail clients, shopping centers, industrial buildings, corporate offices, and Malls throughout the West Suburbs. 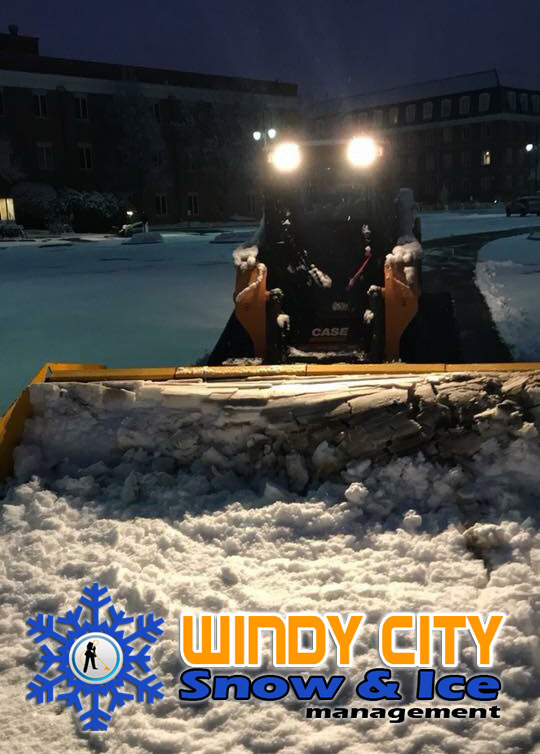 Our equipment and labor force that we utilize during snow seasons are our own employees, when hiring Windy City for commercial snow removal, you won’t have to worry about shady sub contractors handling the lot of your business, this allows us complete control and enables us to guarantee quality snow plowing services to our clients. Give us a call for a commercial snow removal estimate! Most of slip & falls happen when there is an inch of snow or less, keeping your walks and entrance ways clear of snow and ice can save your business money. Fewer claims ultimately lead to cheaper insurance rates. Winter snow events can happen at any time. Do not let them cripple your business! Call Windy City, we use a team of snow removal experts that will keep your lots & sidewalks accessible and clear as possible during snow events. When you hire us, our workers are also a part of your team and there to address any concerns you may have at a moments notice. 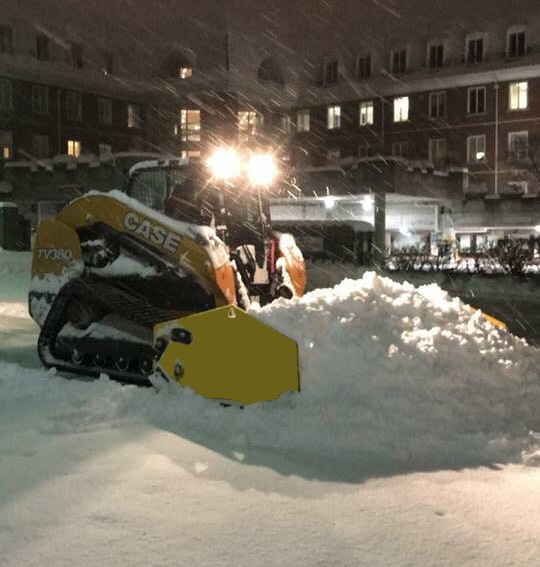 When you hire Windy City Steam to plow your commercial lot, you have peace of mind that your lot will be plowed during and after each and every snow storm. We are not like our competitors, we are always reachable and happy to help you with any snow plowing service you may need. We also offer snow removal and relocation services if necessary. We have the ability to load out and relocate the stacked up snow on your lot to increase safety and visibility if necessary. Windy City Steam can handle all of your commercial snow removal needs, be sure to call us today for an estimate! Our ability to melt ice from your commercial parking lot is second to non. We have a fleet of vehicles and salt spreaders and access to literally TONS of salt. We have a stock pile of salt so we are ready for each and every snow event. There’s no such thing as a salt shortage with us without at least having plenty of advanced notice before snow ever even flies so your business can plan accordingly. To be sure that our salt is effective as possible, we first plow as much frozen snow off the pavement as possible before ever applying salt. Work with experts in snow removal this winter and have peace of mind that snow & ice will not hinder your business’s deliveries and clients. Call us today! Plus More… Call Us Today!